This funny and adorable magnet featuring pug,Clara Francis, is sure bring a smile to your face every time you see it on your refrigerator...or any other place that takes a magnet! It makes the perfect little gift, too. Your friends are sure to laugh out loud! 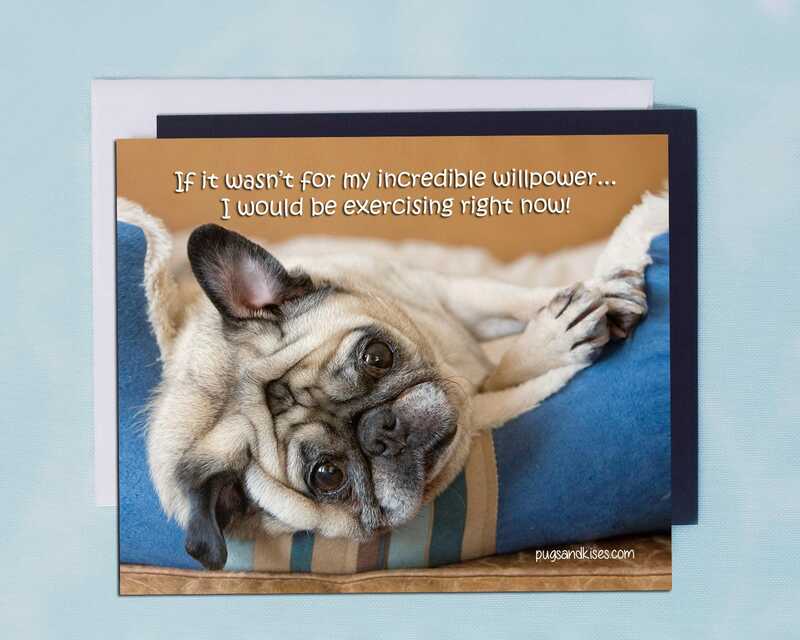 This item is one, "If It Wasn't For My Incredible Willpower," 5x4 magnet by Pugs and Kisses. "If it wasn't for my incredible willpower, I would be exercising right now!"